Do you say “Kleenex” when you want a tissue or “Band-Aid” when you need an adhesive bandage? Yeah, us too. Even just uttering these names probably stirs up memories of childhood scrapes or times when a friend helped wipe away tears. And that’s because building a brand people love sort of feels like magic — it’s the secret recipe for a successful (and memorable) business. These days, video is a key ingredient in that recipe. Video can help businesses quickly differentiate themselves in a crowded space, retain customers, and unlock growth. Plus, now that video is more accessible than ever, more and more marketers are being empowered to think like media companies, striving to build super-specific, highly-engaged niche audiences. We’ve written about why you should build your brand with video in the past, but in this particular guide, we’re going to give you the lay of the land and teach you how to actually do it. Read on for some tips, tricks, and best practices that’ll keep your brand moving in the right direction! The human brain can process visual information in as little as 13 milliseconds. That means we’re interpreting information and building connections in our minds at an alarming rate. As you can imagine, when it comes to integrating video into your brand strategy, there’s a lot to consider. But don’t throw in the towel just yet! There are a few key steps to follow right from the start that’ll help you create a more video-centric, memorable brand. 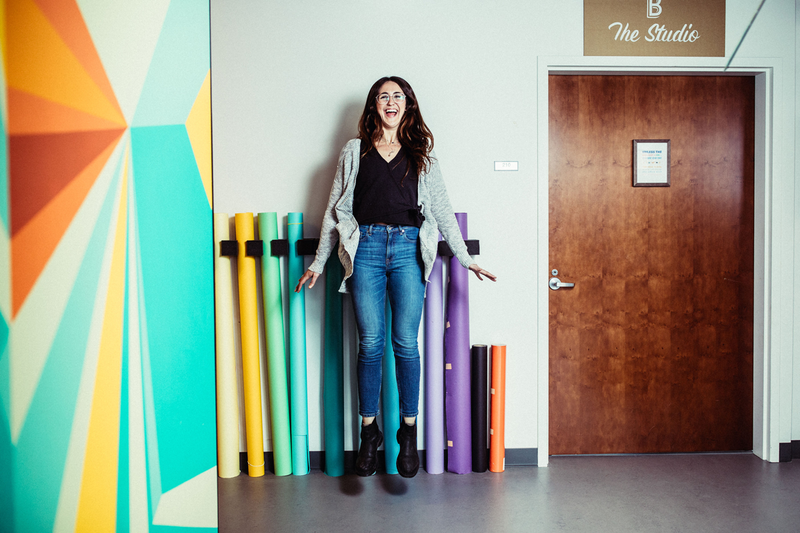 Here at Wistia, we’ve learned quite a bit as we’ve grown our brand over the years, so here are some of our favorite tips that’ll help you get rollin' on your journey. First things first, you’re going to want to create a style guide. Brand guides aren’t just for copywriters anymore. In fact, as businesses start to communicate on more diverse platforms using video, having a strong style guide in place for what your company talks about and how it sounds is super important. Stay true to your brand by incorporating your company values, the tone you want to establish, insider lingo for your industry, or humor into the videos you create. By defining your voice, you can create a process that allows your video-production efforts to scale up without diluting the brand. Just kidding, don’t break all the rules. Style guides are great for helping people recognize your brand, and when you’re just getting started with video, it’s a crucial asset to have. However, you don’t want a style guide to limit your expression. Does your marketing team stick to a rigid set of rules, only using the same colors, fonts, and “voice” for everything? When you think about building your brand with video, start by thinking about your company values and the different ways you can communicate them. Patagonia does this particularly well (check out this post for some examples), proving that while style guides are super important, there are also some instances where you can break the mold. It may sound tricky, but it’s an important balance for all brands to maintain! MailChimp is one of the top brands in email nowadays, but the famously bootstrapped company didn’t start out that way. Over the years, MailChimp learned that sometimes the best results when it comes to branding are unmeasurable and that it’s OK to give up data for a better user experience. There are going to be brands who use video strategically that you and your team admire, so dig into their story a little bit more to uncover how they got to where they are today. Chances are, there are plenty of lessons to be learned from their successes and failures that are worth taking into consideration for your business. We break down the most useful points of an AMA we held with MailChimp a few years back, like their breakthrough moment with sponsoring the podcast Serial, in this post. Check it out and get inspired! Two minutes or less is all you need to make a video for business, right? Not necessarily. Long-form videos, including video series like One, Ten, One Hundred, require a bit more investment up front, but they can pay off significantly in the long term. If you’re just starting out with video at your business, we definitely recommend going the short and sweet route at first. It’s important that you don’t bite off more than you can chew by going all-in on a certain style or tone without testing it out first. Afterall, it’s only by putting your work out into the world that you’ll know what direction you want to take with your brand’s video strategy. Lately, we’ve been really excited by long-form video content and the potential it has to help grow audiences for businesses. 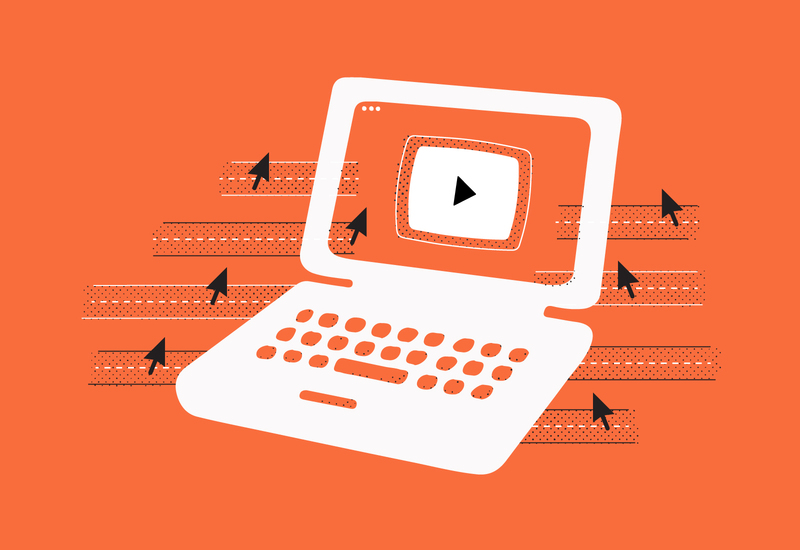 So, if you’re looking for some inspiration in that vein, be sure to check out these 20-minute-plus video examples from Dollar Shave Club, Unbounce, and more and learn how you can take the leap into long-form video. Now that you’ve tested the waters and experimented with some different video lengths and aesthetics, it’s time to show your audience what you’ve got! Your customers have a different understanding of who you are depending on where they are in their own journey with your brand. And how successful your brand becomes depends on how well you tell your story throughout that customer journey. Branded videos will help viewers learn more about your business, building trust and setting the stage for a fruitful relationship with successful, happy customers. And who doesn’t want that? The next stop on your journey to becoming a more video-focused brand is all about meeting your audience where they are. Here are a few ways you can work on reaching the right folks throughout the entire customer journey. Your brand is nothing without your product, so creating an effective product video is a great place to start. These videos explain your product’s features and benefits, while including examples and visuals of how it actually works. Product videos are great for consumers who are in the awareness or consideration stages of the buyer’s journey, and should be clear, yet comprehensive. In this insightful post from TechSmith’s Sherri Powers, she breaks down how the marketing funnel is organized by how well people know your product (borrowed from Eugene Schwartz’s classic book Breakthrough Advertising). Luckily, videos are a great medium for top of funnel engagement, so they’re a super valuable investment to make when it comes to becoming a video-first brand. The middle of the funnel, or the consideration phase, is when you start to educate your potential customers with helpful, useful content. 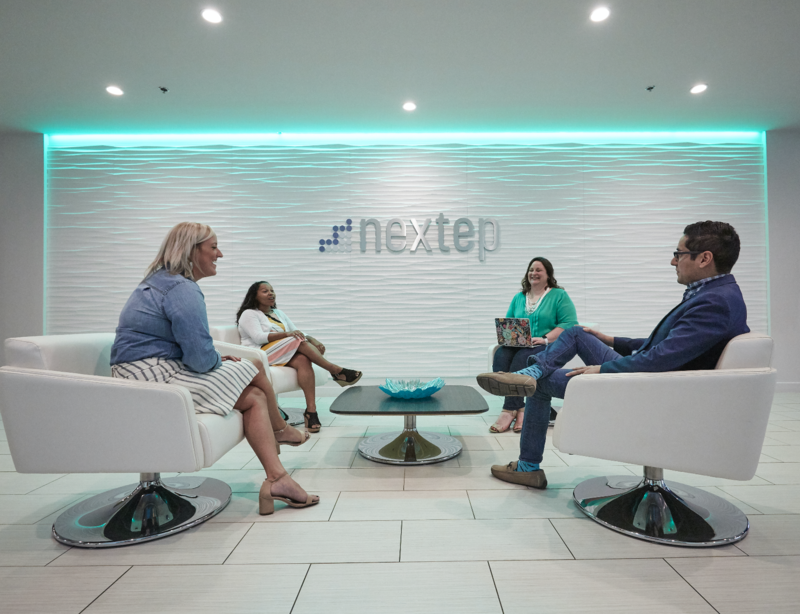 From testimonials and case studies to webinars and team intros, mid-funnel videos are a fantastic tool for showing prospective customers who you are and what you care about. These videos are a vital step to becoming a brand that people love for a long time. 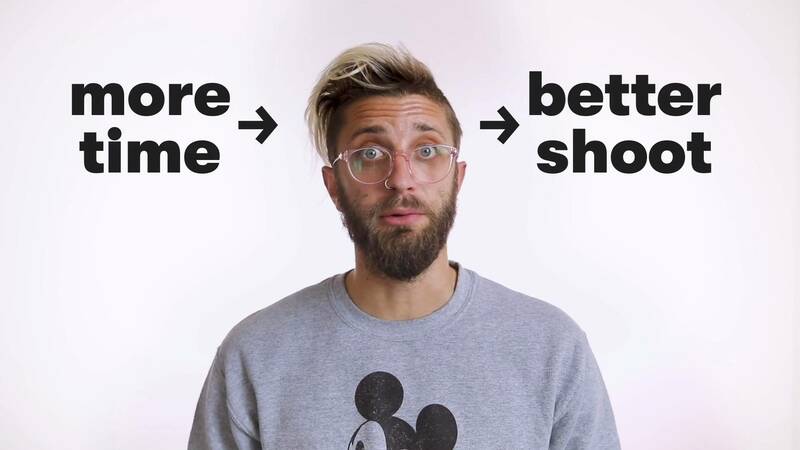 Here at Wistia, we’ve found that high-quality video testimonials that showcase real customers (not actors!) who are representative of your audience are super effective at portraying an authentic brand. Start by presenting a specific problem that your product can solve, back up that brand promise with evidence, and demonstrate your key benefits in action. Trust is an infinite resource — you can never have too much trust in your brand. The more people that trust you, the greater freedom you’ll have to experiment and take risks with your marketing (remember how we told you to break your style guide rules before?). But, as marketers, it’s all too easy to get caught up in the wrong metrics and lose sight of the future. That’s why we recommend creating thought leadership content that can help position your brand in a positive, authoritative light. While the impact is not as easy to measure as say, a product video, thought leadership videos do something product videos don’t — they build credibility for your brand. And when it comes to building a brand people know and love, that innate trust is invaluable. If you’re interested in learning more about building authority with video, check out this presentation from CouchCon 2018 by Nick Dujnic, who makes the case for investing in thought leadership content. Is influencer marketing all it’s cracked up to be? In a word; probably. Influencers have worked hard to deliver content that consistently engages a key, specific group of people. Businesses stand to learn quite a bit from influencers about the way they make strong, personal connections with their audience. And while it’s true that influencers produce a ton of content (often at a super-speedy pace) to keep people coming back for more, there are still some things marketers can take from their strategy and apply on a smaller scale. Influencers create content for their entire audience — when they find something that works for the masses, they double-down on it. The bottom line? They aren’t afraid to get real, and that authenticity is what makes their videos so engaging. Steal some of their tactics, like using a repeatable video format and collaborating with other like-minded companies, and adapt their tactics to your own brand strategy. Video is an amazing tool because it can be used effectively in so many ways. Marketeres can easily incorporate video into all of their promotional efforts, from ad campaigns to blog posts, and those videos can play a big role in attracting new customers, educating leads, and converting them. If the notion of using video across your entire business feels a little daunting, don’t sweat it! You can easily break down what types of videos work throughout the traditional marketing funnel and use that as a framework for thinking about what videos to make. Itching for some specific examples? We identify the key metric for each stage of the funnel (i.e., sign-ups) and show stellar video examples in this post. 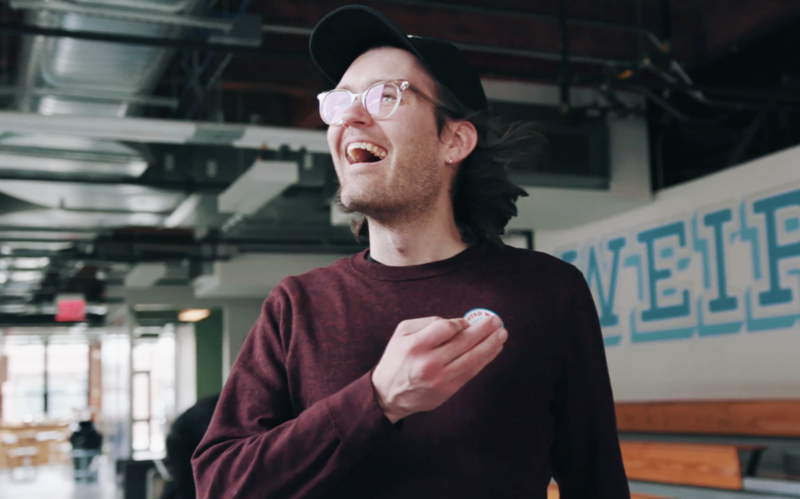 Shout-out to brands like ProfitWell, Sticker Mule, and San Diego Surf School (whose video was produced by video marketing agency, HARNESS) for the inspiration! The next stop on your video journey? You guessed it! It’s time to polish up that act of yours. There’s a lot to learn about cultivating and expanding upon your brand with video, but we’re going to take it one step at a time. You might make a few mistakes along the way (you’re only human after all! ), but these learning experiences will only make your brand stronger. 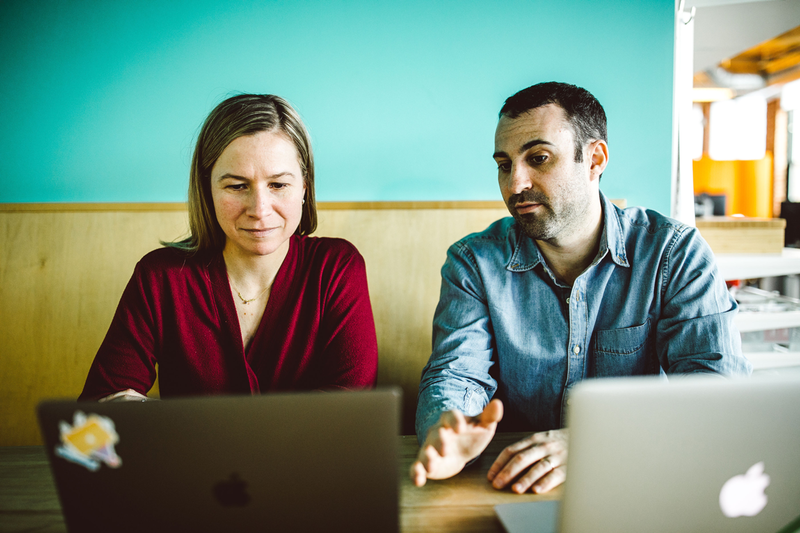 In this section, we’ve gathered some of our best advice based on Wistia data and our experience building a brand with video, from presenting your content to creating a beautiful experience. 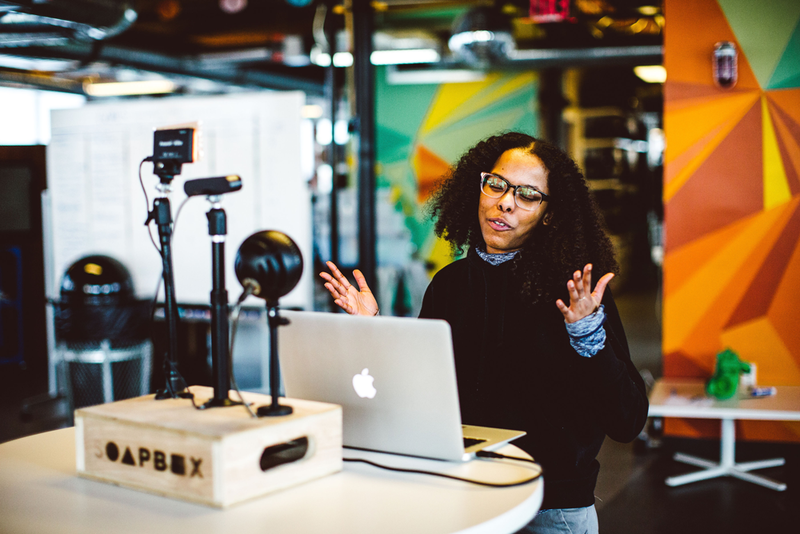 With these resources in hand, you’ll be well on your way to developing your own video best practices in no time. Naturally, video is just one of many essential elements that make up a successful homepage, but creating a memorable one may be the reason your business stands out from the rest. Sometimes the smallest changes can have the biggest impact on your video’s success. And when it comes to your player design, you might think that something as simple as player color is unimportant. But when it comes to building a video-focused brand, these little details matter. You have to think about the overall experience your viewer has with your brand across channels and platforms. A few years back, we dug into Wistia data from millions of videos to see if there’s a correlation between player color and video play count — and you might be surprised at the results. We found that there was a 7% improvement in play rate for the non-default colored players, ie. businesses who were more intentional about their player design. The main takeaway here is that small, intentional efforts to make your videos look professional and put-together will evoke a more positive response from your audience, thus creating a more cohesive brand experience. Learn from the mistakes of those that came before you and save yourself some headaches along the way. Want to dig into all the nitty gritty data from our test? Check out this post! Social networks like YouTube and Facebook (and newer services like Twitch) are great for getting your content off the ground. But eventually, if you’re interested in building a brand for the long run, you’ll want your videos to live on their own page that’s unique to your brand. When you graduate to a professional hosting service, you’re able to keep creative control while also protecting viewer privacy. 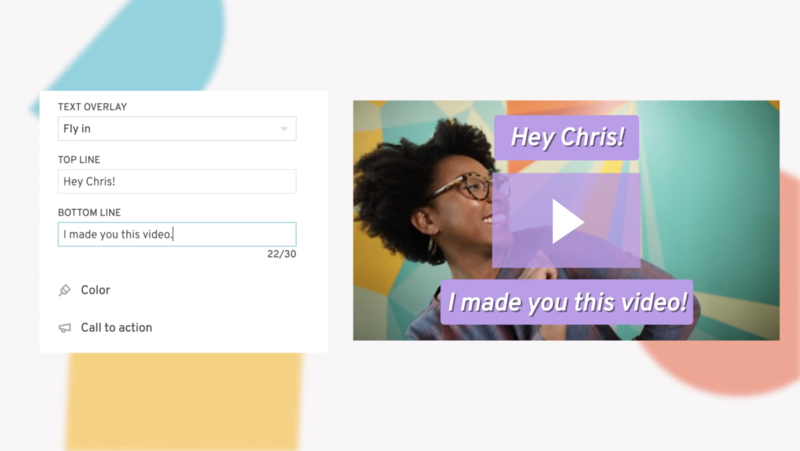 We recently launched a new feature, Wistia Channels, that gives users more control over their overall viewing experience. Because we know how important branding is when it comes to video, we made it easy for marketers to transform a group of videos into a highly engaging, immersive collection that lives right on their site. Again, at the end of the day, it’s all about paying attention to the small details that lead to a bigger, more positive brand impact. Homepage videos, explainer videos, and product videos are all important for building a brand, but at some point, you’ll want to try out something new. And nothing says leveling-up your brand like creating videos that don’t scale. What do we mean by “don’t scale,” you ask? Think Snapchat and Instagram Stories, 1:1 video emails, and just-for-fun company culture content. These are all examples of videos that don’t scale but still add value to your brand. When you explore your more creative side, you’ll find that there are many different yet equally engaging ways to spread your message in a way that feels fresh and authentic to your audience. You know what they say — it’s all about the journey, not the destination. But, we have reached the end of our post (wink, wink). It’s safe to say that every marketer dreams of creating the type of brand that people turn to first when they need a particular problem solved. Luckily, incorporating video into your marketing strategy can help you reach those goals. Video is your ticket to making a brand that people remember and love. From goofy outtakes and informative webinars, to an original long-form series, videos are the best way to tell your company’s story. Follow these three steps to becoming a more video-centric brand by starting with your aesthetic, creating content for your entire audience, and keeping it nice and polished, and you’ll be poised for success! 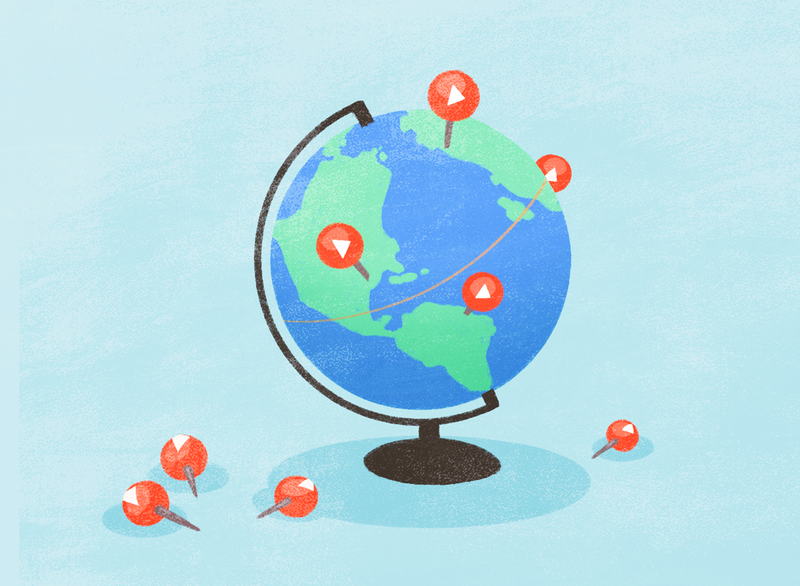 Want a Netflix-style viewing experience that lives right on your site? 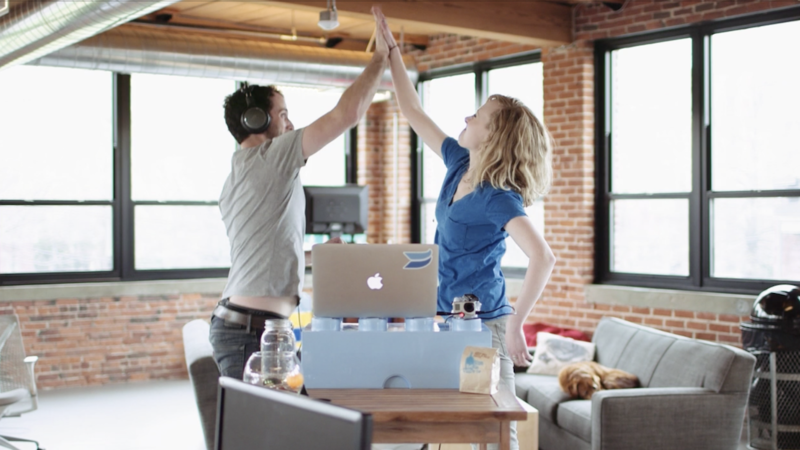 Transform your videos with our newest Advanced Plan feature, Wistia Channels.